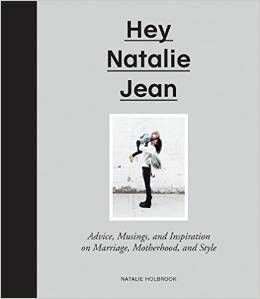 HEY NATALIE JEAN: Birthday Week Giveaway! So how about a Petunia Picklebottom giveaway? I don't comment much, but I have to say that I love your necklaces! LOVE! I love your blog, though don't know if I have ever commented?? Maybe once. Just wanted to say HAPPY BIRTHDAY! I turn 28 on Friday, so cheers to us & bringing in October with a bang! Have a great birthday! and wow...a TV in the garbage? really! Hey Natalie! Hope you have an awesome birthday! And I'm so happy for you and you are so cute prego!!! Happy happy Birthday week! Super cool about that TV. I already said it over there, but Happy Birthday Week to you! And also, Happy belated Birthday to the Holbs, I kind of missed the window there. Hope he had a good one! Happy Birthday week to the best dressed pregnant lady ever! Hope the weather clears up for you! Just think next year you'll have little chubby fingers to help you open your presents and steal the frosting from your cake! I am not expecting any baby soon so I do not need to enter but I wanted to wish you a happy birthday! You are adorably pregnant and so cute. HAPPY BIRTHDAY WEEK!!!! 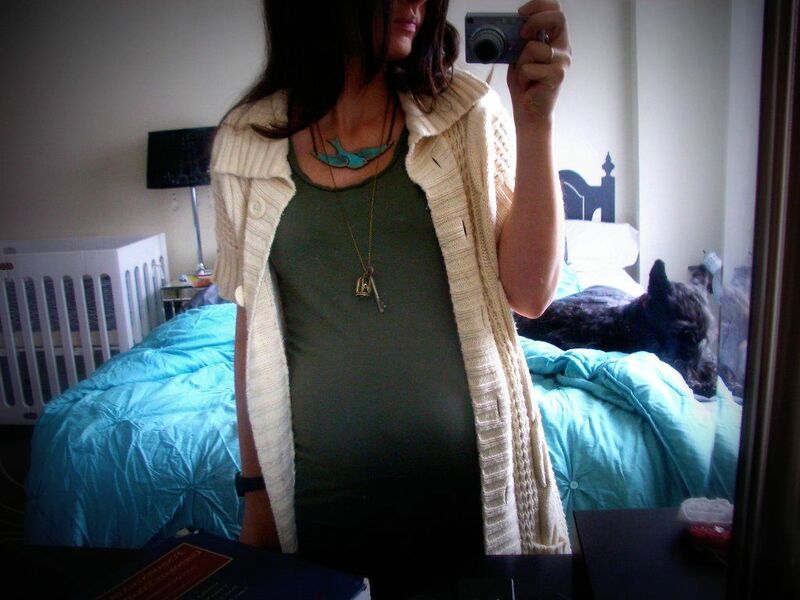 I love, love, love that bird necklace you are wearing in the pic, and please enter me to win the diaper bag. Yes, I know I have two girls, and yes, I know they are almost both old enough not to need a diaper bag. I'll tell you a secret if you promise to keep it between just the two of us and the billions of people who may or may not read this comment. Shhhh, we're trying for a boy. And you know how expensive diaper bags are. And we only have a very girly pink one. Um, should I have commented on the other blog? I'll go do that right now. I wouldn't want to mess with the Holbsmathmetician. Hi Nat, as usual, you look rad. Please tell me that your necklaces aren't vintage/thrifted/unfindable for mere mortals. I love them--but especially the long charm-ish one. I probably won't be able to get it in Europe anyway, but please do tell where it is from. So, the necklace! The necklace is part vintage part Urban Outfitters part Forever 21. I got the chain at Forever (and then lost the charms - they FELL OFF), the bird cage was part of another necklace from Urban that broke, and the skeleton key is a vintage find. But you can find these skeleton keys everywhere lately, and usually for less than $5 a pop. I bought it a million years ago, I can't believe she still sells them! And this Etsy seller is fantastic, you will love everything of hers. happy birthday too you natt!! my first thought was that your Holbshusband found a perfectly nice working TV at bestbuy and pretended to find it so you wouldn't feel bad. But the copy of Jerry McGuire threw me. with the warmth of your heart, & a day that reflects as wonderful as you are. Happy Birthday.